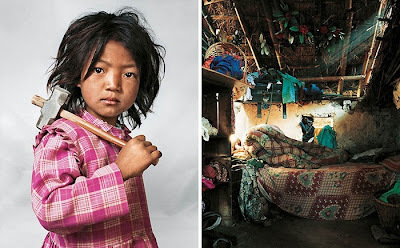 James Mollison traveled around the globe and took some incredibly eye-opening photos of children's bedrooms. He then compiled them into a book, titled Where Children Sleep. Each pair of photographs is accompanied by an extended caption that tells the child's story. The differences between each sleeping space is striking. Lamine (above), 12, lives in Senegal. He is a pupil at the village Koranic school, where no girls are allowed. He shares a room with several other boys. The beds are basic, some supported by bricks for legs. At six every morning, the boys begin work on the school farm where they learn how to dig, harvest maize, and plow the fields using donkeys. In the afternoon, they study the Koran. In his free time, Lamine likes to play football with his friends. Tzvika, nine, lives in an apartment block in Beitar Illit, an Israeli settlement in the West Bank. It is a gated community of 36,000 Haredi (Orthodox) Jews. Televisions and newspapers are banned from the settlement. 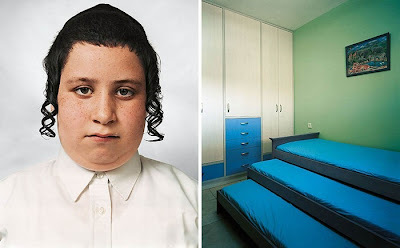 The average family has nine children, but Tzvika has only one sister and two brothers, with whom he shares his room. He is taken by car to school, a two-minute drive. Sport is banned from the curriculum. Tzvika goes to the library every day and enjoys reading the holy scriptures. He also likes to play religious games on his computer. He wants to become a rabbi, and his favorite food is schnitzel and chips. Indira, seven, lives with her parents, brother, and sister near Kathmandu in Nepal. Her house has only one room, with one bed, and one mattress. At bedtime, the children share the mattress on the floor. Indira has worked at the local granite quarry since she was three. The family is very poor so everyone has to work. There are 150 other children working at the quarry. Indira works six hours a day and then helps her mother with household chores. She also attends school, a 30-minute walk away. Her favorite food is noodles. She would like to be a dancer when she grows up. Jamie, nine, lives with his parents and younger twin brother and sister in a penthouse on 5th Avenue, New York. Jamie goes to a prestigious school and is a good student. In his spare time, he takes judo and goes swimming. He loves to study finance. When he grows up, he wants to become a lawyer like his father. 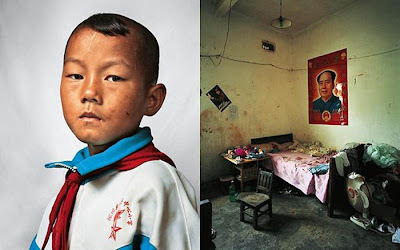 Dong, nine, lives in Yunnan province in south-west China with his parents, sister, and grandfather. 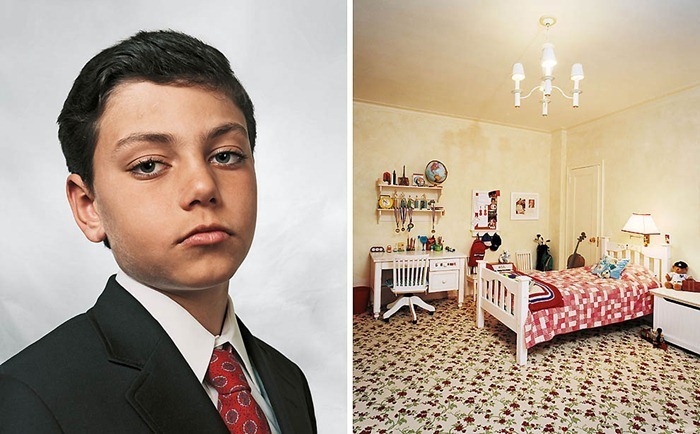 He shares a room with his sister and parents. The family own just enough land to grow their own rice and sugarcane. Dong’s school is a 20-minute walk away. He enjoys writing and singing. Most evenings, he spends one hour doing his homework and one hour watching television. When he is older, Dong would like to be a policeman. Kaya, four, lives with her parents in a small apartment in Tokyo, Japan. Her bedroom is lined from floor to ceiling with clothes and dolls. 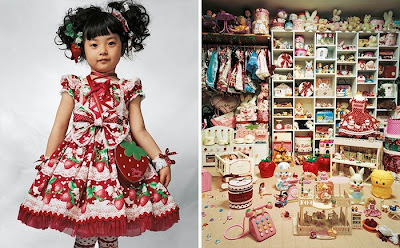 Kaya’s mother makes all her dresses – Kaya has 30 dresses and coats, 30 pairs of shoes, and numerous wigs. When she goes to school, she has to wear a school uniform. Her favorite foods are meat, potatoes, strawberries, and peaches. She wants to be a cartoonist when she grows up. 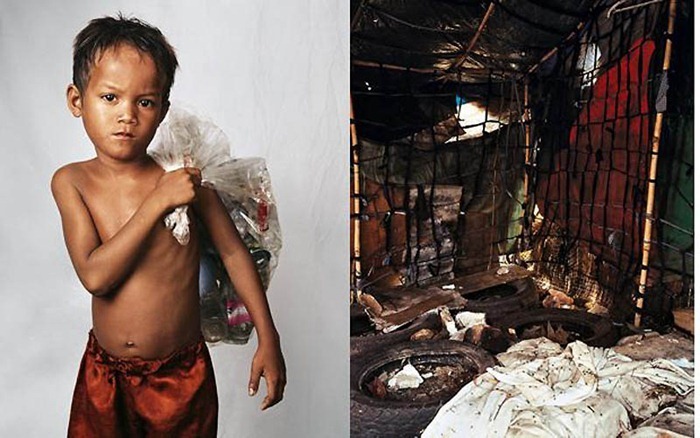 Roathy, eight, lives on the outskirts of Phnom Penh, Cambodia. His home sits on a huge rubbish dump. Roathy’s mattress is made from old tires. Five thousand people live and work here. At six every morning, Roathy and hundreds of other children are given a shower at a local charity center before they start work, scavenging for cans and plastic bottles, which are sold to a recycling company. Breakfast is often the only meal of the day. Jasmine (Jazzy), four, lives in a big house in Kentucky, USA, with her parents and three brothers. Her house is in the countryside, surrounded by farmland. 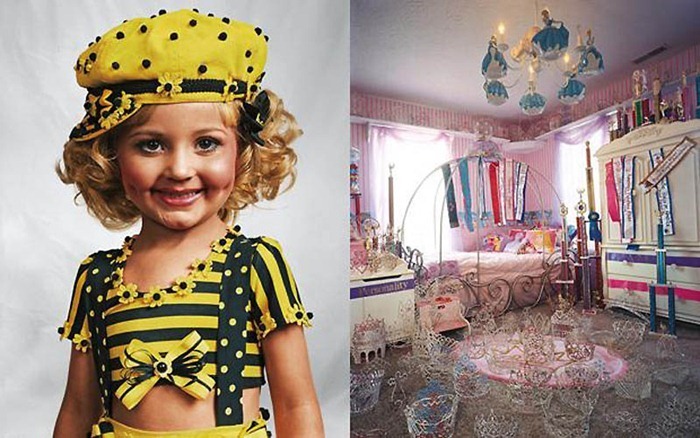 Her bedroom is full of crowns and sashes that she has won in beauty pageants. She has entered more than 100 competitions. Her spare time is taken up with rehearsals, and she practices her stage routines every day with a trainer. Jazzy would like to be a rock star when she grows up. Nantio, 15, is a member of the Rendille tribe in northern Kenya. She has two brothers and two sisters. Her home is a tent-like dome made from cattle hide and plastic, with little room to stand. There is a fire in the middle, around which the family sleeps. 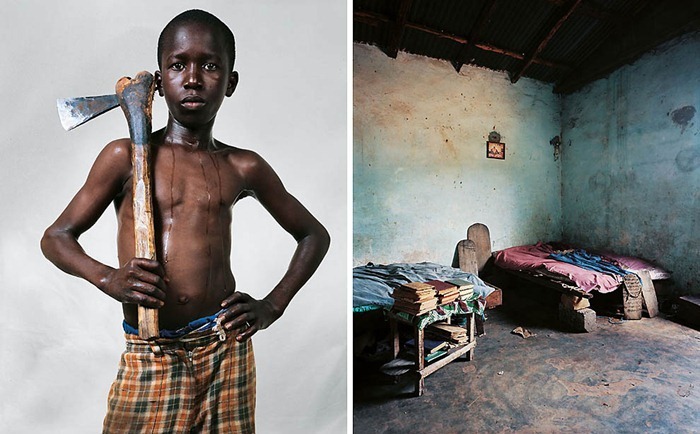 Nantio’s chores include looking after goats, chopping firewood, and fetching water. She went to the village school for a few years but decided not to continue. Nantio is hoping a moran (warrior) will select her for marriage. 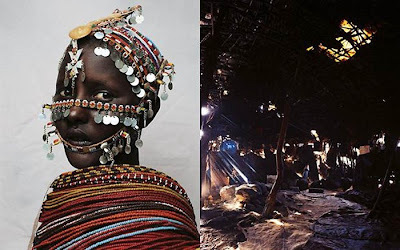 She has a boyfriend now, but it is not unusual for a Rendille woman to have several boyfriends before marriage. First, she will have to undergo circumcision, as is the custom. 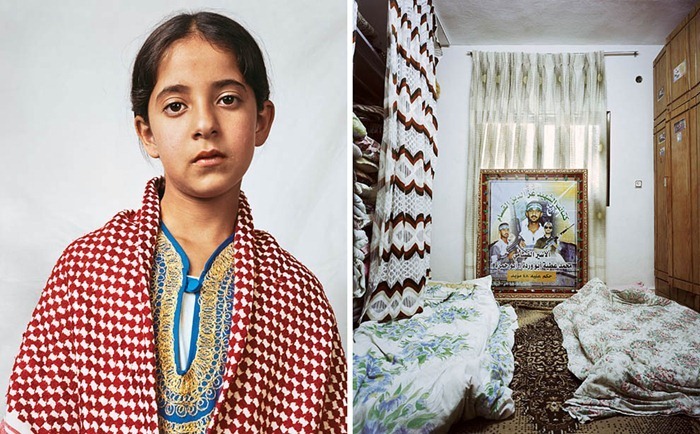 Douha, 10, lives with her parents and 11 siblings in a Palestinian refugee camp in Hebron, in the West Bank. She shares a room with her five sisters. Douha attends a school, a 10-minute walk away, and wants to be a paediatrician. 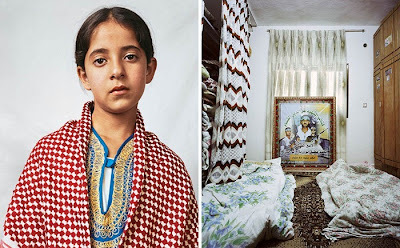 Her brother, Mohammed, killed himself and 23 civilians in a suicide attack against the Israelis in 1996. Afterwards, the Israeli military destroyed the family home. Douha has a poster of Mohammed on her wall.